Nvidia’s PC graphics chips may draw all the attention, but supercomputing chips are driving the company’s GPU technology ahead. 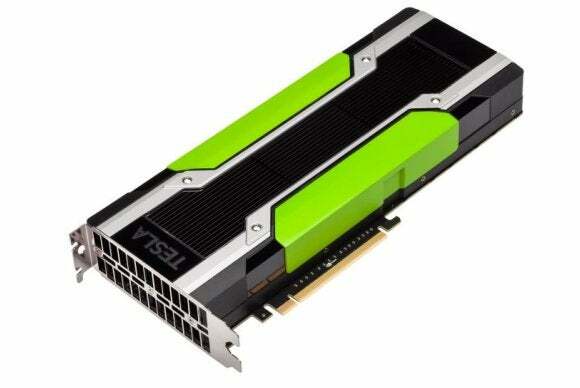 The company on Monday announced an updated Tesla K80 graphics card, which is its fastest graphics product to date. Tesla is used in some of the world’s fastest supercomputers to solve pressing scientific questions. The K80 delivers 8.74 teraflops of single-precision performance compared to 5 teraflops on Nvidia’s flagship GeForce GTX 980 desktop graphics card. The K80 also has two times the performance and memory bandwidth of its predecessor, the K40, which was announced around the same time last year. Nvidia’s Tesla is one of many server accelerators available. Intel sells the Xeon Phi chip, while Advanced Micro Devices offers FirePro cards for servers and workstations. Software needs to be written specifically to take advantage of these processors, and Nvidia offers its CUDA parallel programming framework for Tesla. Hewlett-Packard, Dell, Quanta and Cray will use the K80 GPUs in servers. Servers from HP and Dell will run on Intel’s Xeon CPUs. Dell’s PowerEdge C4130 is a 1U server that looks more like an appliance and will be able to accommodate up to four K80 cards. A number of C4130 servers could be used as cabinets to build a supercomputer, said Jimmy Pike, chief architect for Dell’s enterprise solutions group. This article was update to correct an error in the final paragraph. The story originally stated the Dell PowerEdge server could only handle two K80 cards, not four.